Want to feel really clean? 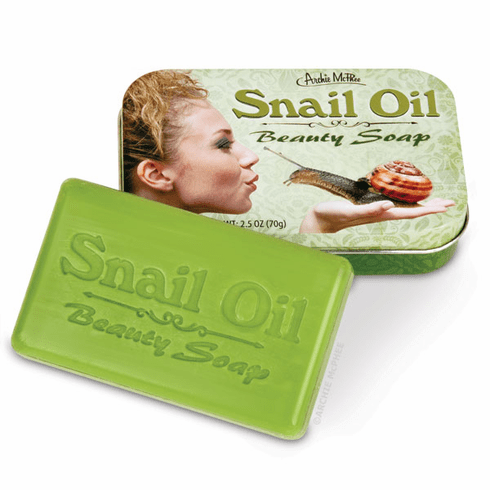 Wash your face with a gastropod! This Snail Oil Beauty Soap contains actual extract of white jade snail, which other companies claim has benefits of all kinds to your skin. We don't claim any benefits, we're just happy to be selling soap with snail in it. Each 3-3/4" x 2-1/4" x 3/4" (9.5 cm x 5.7 cm x 1.9 cm) tin contains one 2.5 oz (70 g) bar of snaily soap that you should probably warn your guests about before they use it.